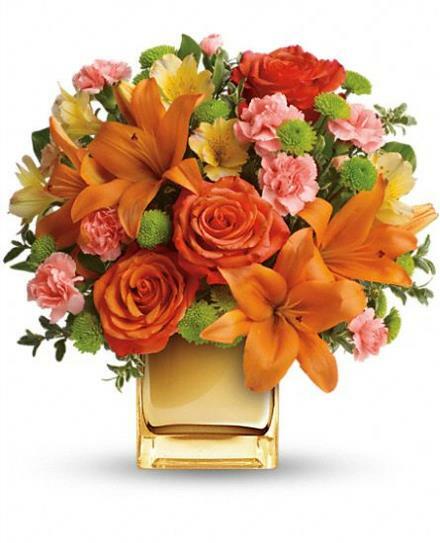 Like a tropical island breeze, this serene citrus mix of lilies and roses envelops your special someone in warmth and affection. 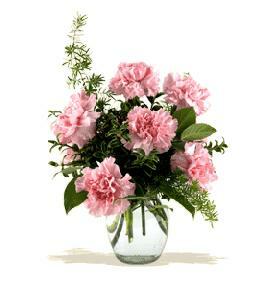 Arranged in a glass Cube, it's a chic gift she'll always remember. 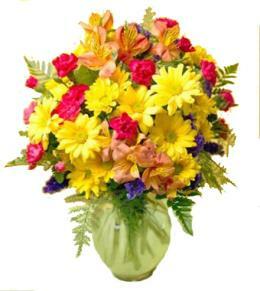 Celebrate Fall with the Tropical Punch Bouquet. 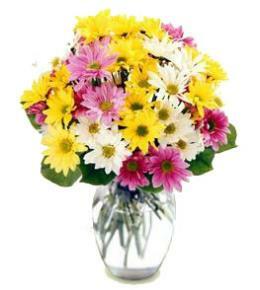 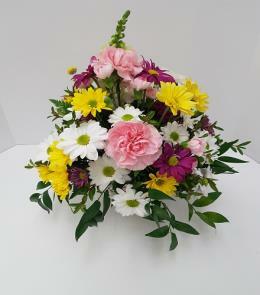 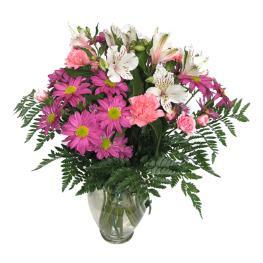 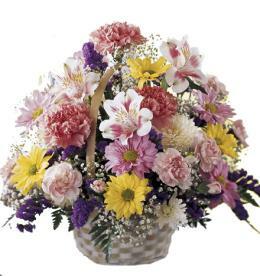 Arrangement Details: Flowers and colors may vary due to availability.